Austrian There are 4 products. Box - Plastic. 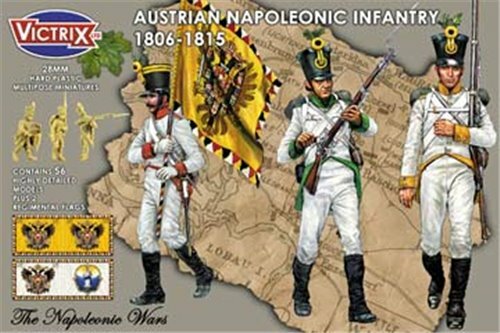 This set contains 56 Austrian Grenadier figures. 2 x officers, 2 x standard bearers 2 x Drummers 2 x mounted colonels 48 x infantry. Box - Plastic. 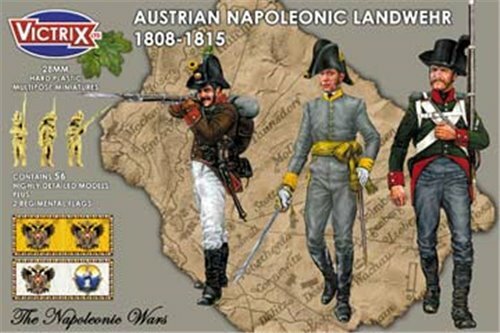 This set contains 56 Austrian Landwehr figures. 2 x officers, 2 x standard bearers 2 x Drummers 2 x mounted colonels 48 x infantry.